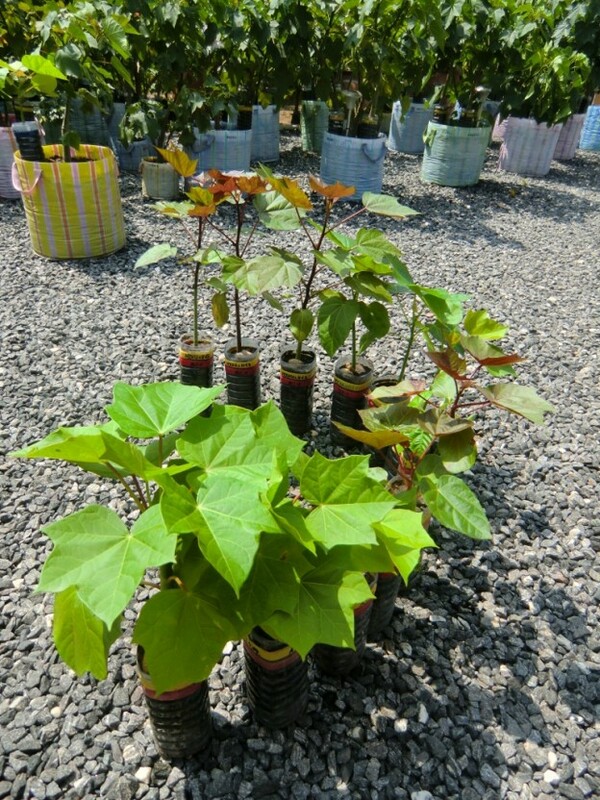 All articles we have written about interspecific Jatropha curcas hybrids. 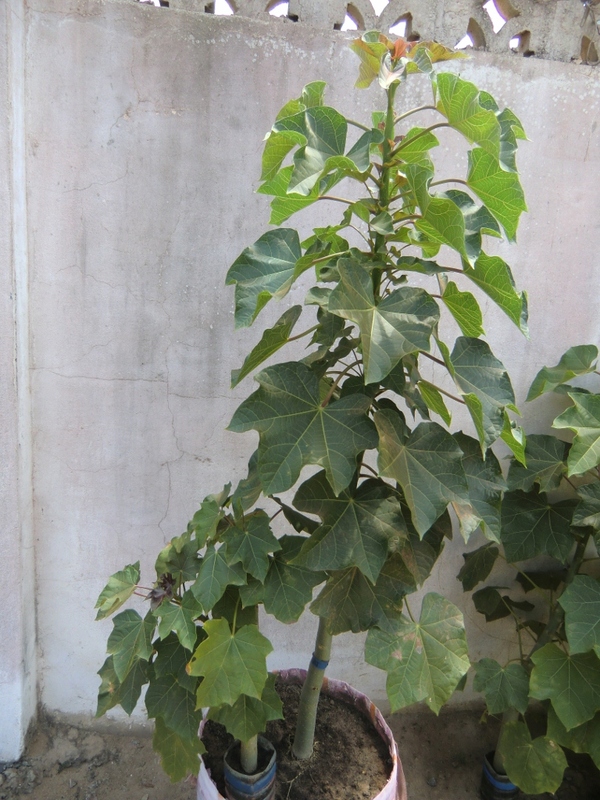 Interspecific hybrids are crosses between different species within the same genus, for example Jatropha curcas x Jatropha integrrima. 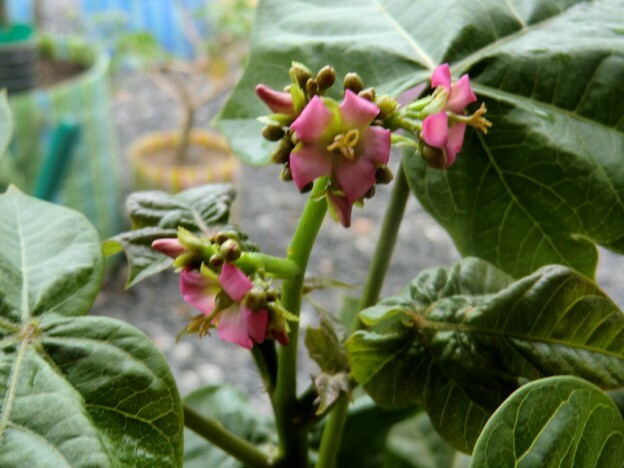 This type of breeding is considered difficult but has the potential to greatly enhance the range of genetic variance within a breeding population which again is a prerequisite for the development of elite cultivars of any species. 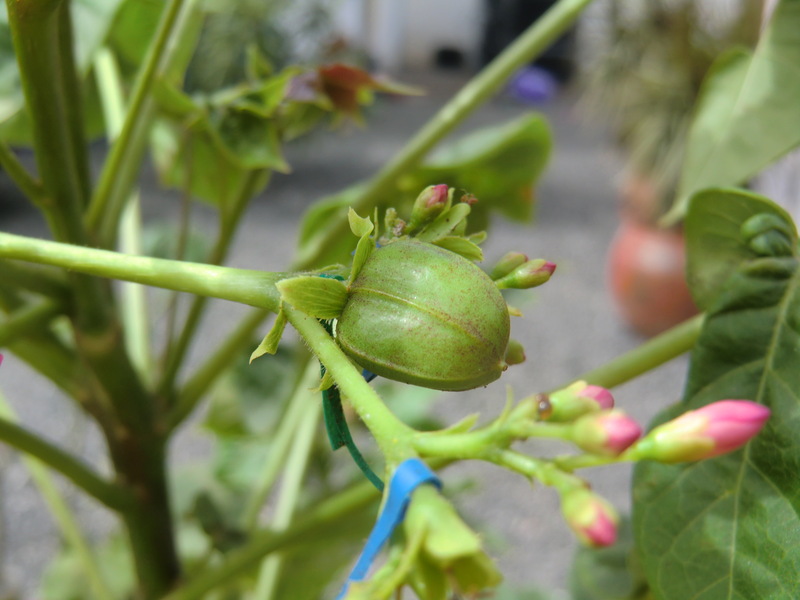 Today we take a quick look at one of our oldest Jatropha interspecific hybrids. It’s less than 7 months old and about 1.5 m high. Over the last 3 months it has been flowering almost constantly. 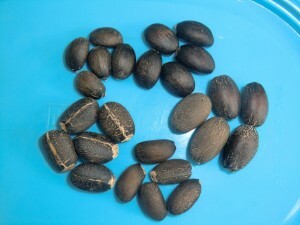 Fruit development is becoming more and more robust, so we expect larger quantities of healthy seeds in the near future. As this type of hybrid represents an intermediate stage in one of our originally charted out breeding paths male and female flowers will be used for further breeding. However, in order to exploit the full genetic variability of such a unique hybrid a next generation direct offspring (F2) will be of great interest. 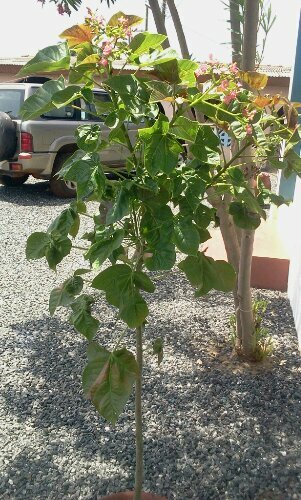 Only 3 days ago it was transplanted to a large decorative pot and placed at a prominent spot in front of the house because this will be the most memorable plant of the BPL Jatropha breeding program for a long time to come. 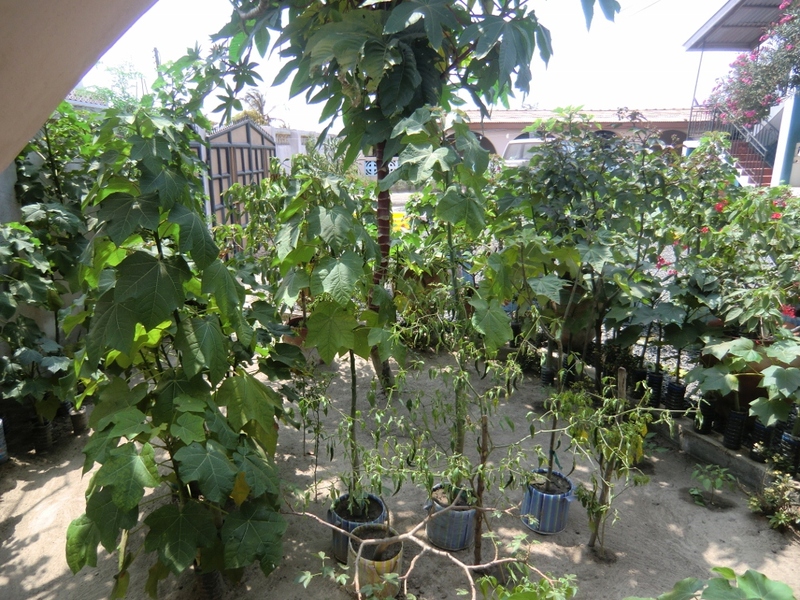 After intense rainfall once again we see a large number of fruits developing. While we already harvested an early seed we had no germination success yet. Difficulties in fruit development actually seem to be a trait inherited from the pollen donating parent. However, we are more than confident to break that barrier in the near future as we have broken the barrier before on the male parent after some experimenting. 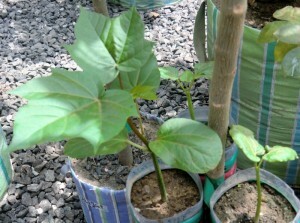 This entry was posted in Interspecific hybrids on May 23, 2012 by Ulrich Riemann. Since we started our JcL breeding program we focused primarily on elite non-toxic hybrid cultivars. We have completed the main phase of a proof of concept (PoC) meant to significantly reduce the commercial risk involved in a full scale program go ahead. By the end of 2011 we have succeeded in showing the validity of all three of our principal approaches, one involving traditional intra specific hybridization, one an already well documented inter specific hybridization path and one a completely innovative bottom up inter specific hybridization method. We have recently decided, to add a 6 months extension to the PoC to gather more useful planning data especially by reaching the third generation of hybrid breeding, but also by further verifying and confirming protocols developed over the last 18 months. 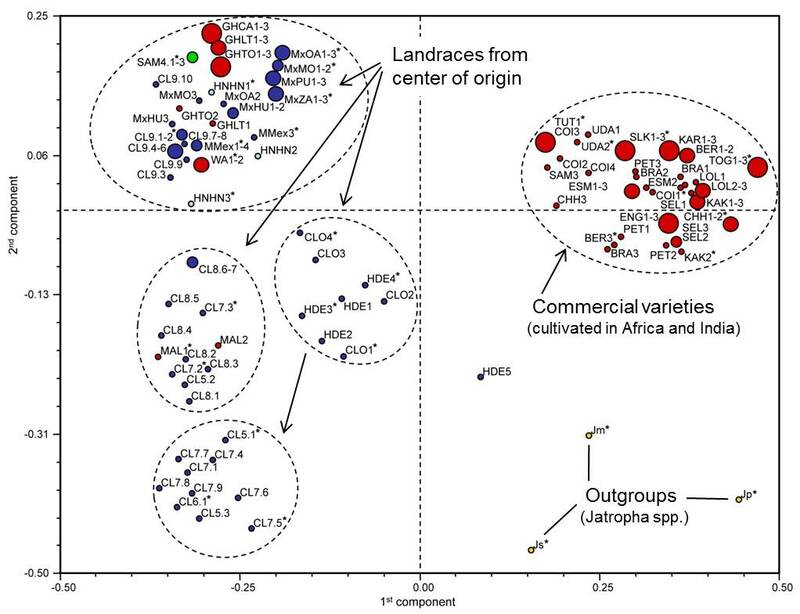 During the PoC we have worked with 5 different toxic JcL accessions from Africa and Asia as well as 4 distinct non-toxic accessions from the center of origin and a number of accessions from 2 related species. All that parental material has been used to establish a stable, mature selection of germplasm ready to be used in larger scale breeding approaches. We have also expanded our carefully selected population of parental material for further breeding by another 8 unique non-toxic and 15 toxic JcL accessions. Especially useful is a male sterile, high yielding non-toxic accession and a line exhibiting natural polyploidy. Currently we have approximately 50 intra and interspecific hybrids growing and we expect some of them to set flowers within the next few weeks. With the resulting BC1F1 and F2 generations we will soon enter the core breeding phase. Over the coming 6 months we will initiate some systematic feed trials with the first generation non-toxic material we have planted at our farm. For this purpose we have established a small poultry test farm comprising of chicken, guinea fowls and turkeys. This entry was posted in Company, Interspecific hybrids on February 13, 2012 by Ulrich Riemann.